(Rosemary) and Cowal and Bute (Elaine). After Provost Nicki McNelly welcomed the congregation to the cathedral, the bishop preached and celebrated the eucharist for the ordinations. Led into the service by St John’s choir and servers, visiting clergy came from the diocese, elsewhere in Scotland and from other churches, and the congregation of Oban worshippers, members from the deacons’ charges and family and friends filled the cathedral. 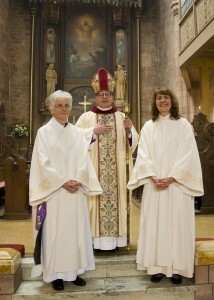 Rosemary and Elaine were presented to the bishop for ordination by friends who had taken a significant role in their respective journeys to this new ministry. The Rev Elaine Garman will serve as Curate in St Paul’s Rothesay and Holy Trinity Dunoon. She has been a member of St Paul’s Rothesay since 2006. She will continue her fulltime job as a Director and Public Health Specialist for NHS Highland as well as spending time with her family, sailing, gardening, singing and many more pastimes. 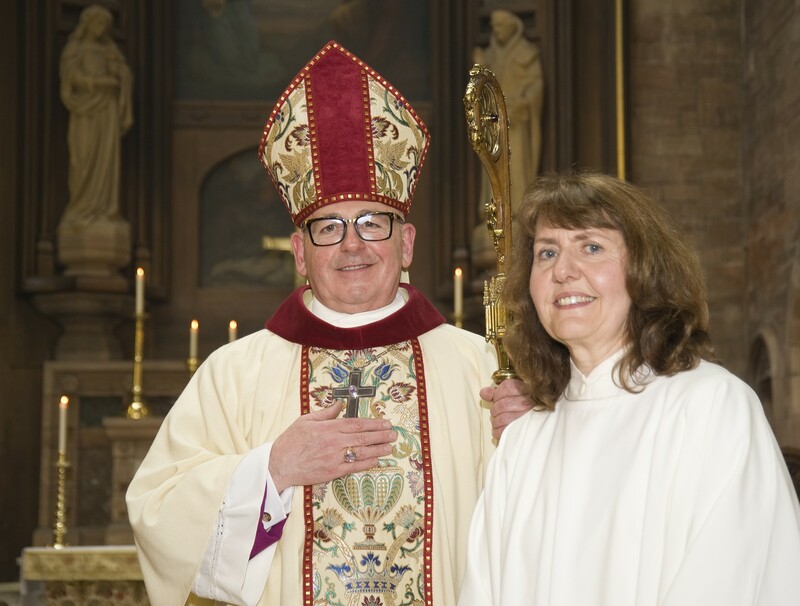 Her new role will see her carrying out pastoral duties and leading worship in Rothesay and Dunoon churches as she continues into the next phase of the ministerial training, with the guidance of Dean Andrew Swift, the Rector of the churches. Elaine and Rosemary, the deacon from Skye, both trained for the ministry in the Scottish Episcopal Institute, the Scottish Episcopal Church’s theological college. The training, carried out over several years, was a mix of distance learning, residential periods and placements in various churches. The Institute trains clergy and lay readers for ministry in the Scottish Episcopal Church. 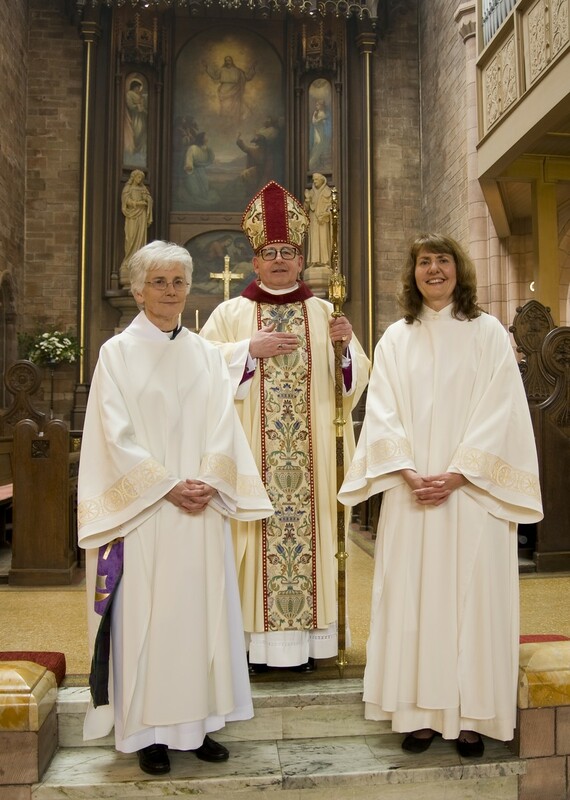 The Principal of the Scottish Episcopal Institute, the Rev Ann Tomlinson, was present in Oban and welcomed Rosemary and Elaine as the newest members of the body of deacons in the church. 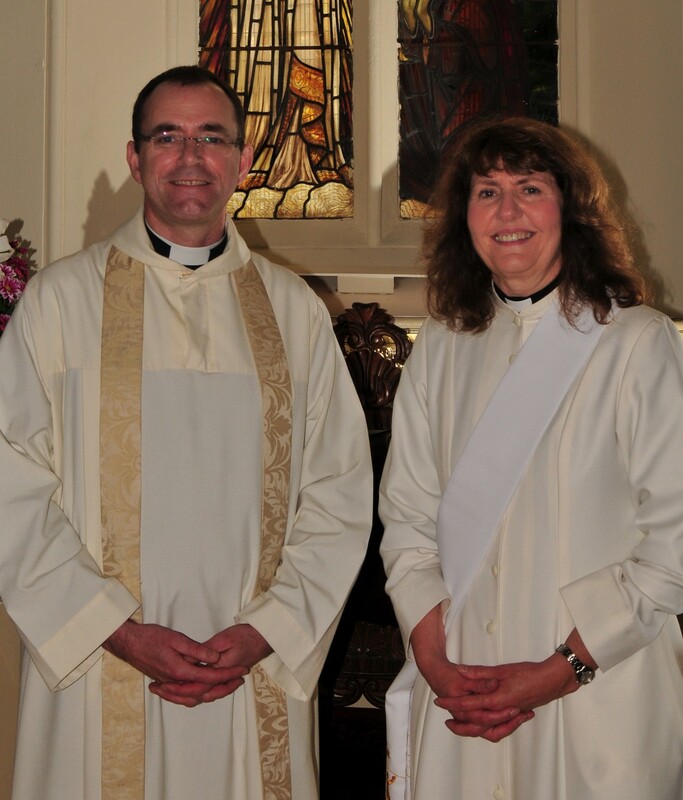 Ordination as a deacon is the first stage of ordained ministry in the Episcopal (and other Anglican churches). Some people may then remain as a deacon, with a ministry focused upon service, both in church services and in the community. Others are ordained priests, usually about a year after being ordained deacon. A priest can administer sacraments and fully engage in leadership of worship and other aspects of church community life. The Scottish Episcopal Church is an open, discussing and engaging church in Scotland and is a member of the world-wide Anglican Communion. It is a diverse church which is widely respected for the quality of its ministry and worship and for the thoughtful dialogue which is characteristic of its life. It can trace its heritage back to the days of the reformation in Scotland, and has charges throughout the country.